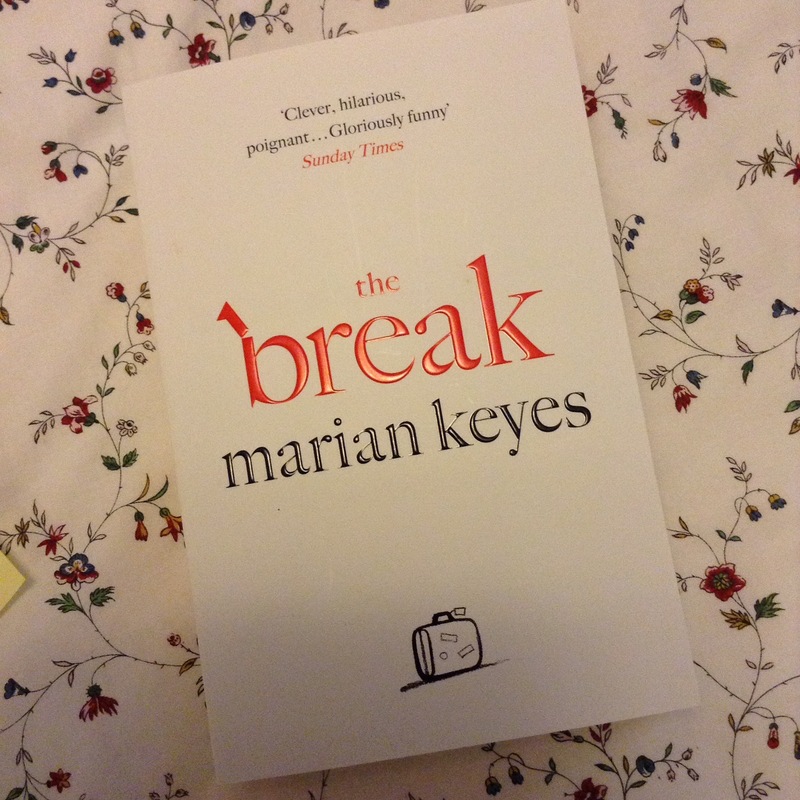 I finally picked up my copy of The Break by Marion Keyes. I had been saving the read for a time when I would be able to read uninterrupted – and the second week of my Summer Break was a perfect time for it. What would you do if your spouse decided to take a break from your marriage? Amy’s husband, Hugh, tells her just that. He says he is not leaving her, but that he needs six months off from the marriage and all the responsibility that comes with it. While he has gone to South East Asia, Amy is left behind to shoulder the responsibility of her family – and to decide what she wants to do during the break from her marriage. Amy’s story is told with humour – but also with insight. As a reader, I explored Amy’s feelings, her inhibitions and her indecision. And, while doing so, what I read resonated with me. Some of her frustrations with family, for example, have been some of my frustrations. Her sense of being overwhelmed by all that is expected of her, is an experience that so many women in our society experience today. Amy’s story reflects not only some of my personal experience, but also the experience of women who wait on the sidelines while their husband experiences a mid-life crisis. It is the reflection of a woman’s experience that makes this story by Marian Keyes relevant to her readers. I enjoyed reading this novel and would recommend it to any person who enjoys reading stories about the woman’s experience. This is a story that I will certainly reread. I give this novel ⭐⭐⭐⭐️⭐ 5 stars. < Previous Weekend Coffee Share: I am Back! So now I’m worrying about the happy ever after when he comes back. 🙂 🙂 Must be her turn to go!